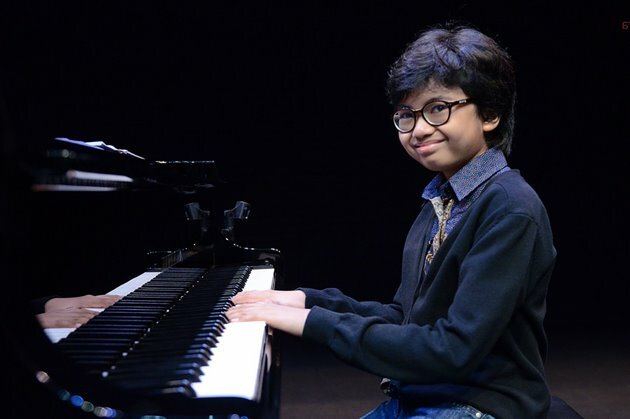 Joey Alexander absolutely lived up to his title of “child prodigy”. The 13 year - old jazz piano sensation, from Indonesia, played to a packed house of age and ethnic diversity at the beautiful, City Winery in Chicago. Small in stature but big in ‘chops, ’ rhythmic and emotional intensity and dynamics, he played better than pianists much older and more seasoned. whom he said offered him great support for his artistry and to pursue a career in music. ”Evidence” was the first piece he played, incorporated pieces of the ‘jazz pie’; gospel, swing, bluesy riffs, along with his wonderful bass and drummer who accompanied him well. gospel-tinged piece called Sunday Waltz”. Much of the time he stood up as he played the grand piano, with amazing strength and dexterity. songs he played. Finally he played two more original pieces, first “Space” trading call and response licks with his bass player and drummer and an original samba piece called “City Lights” with great Brazilian flare.